11-20-05 -tree stand-7yd shot-traveled 40 yds-53# witchdoctor recurve-madpigslayer cedar,tipped with a magnus 125. Congrats Timo! Looks like your get'n that freezer packed with some good meat. 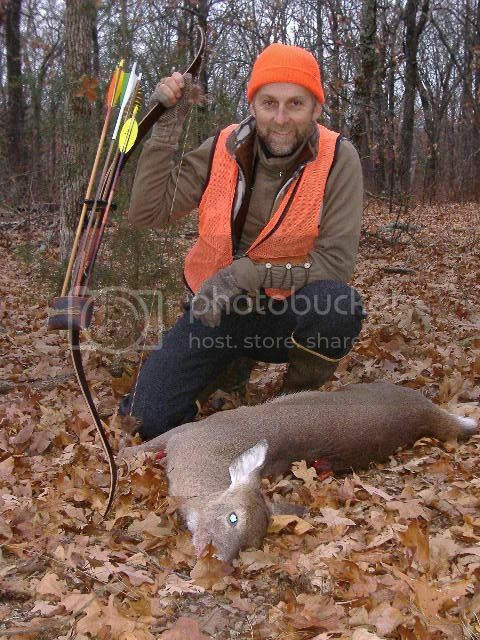 Congrats Tim ,whats the length of that bow?